Friend for Life is similar in size to the actual bear on the cover of our first catalogue and now in our museum. 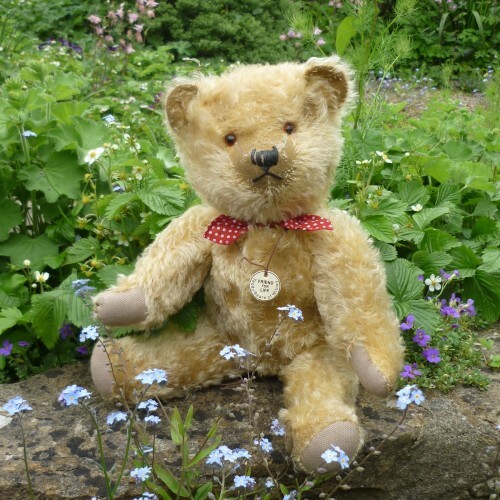 This old looking bear has amber and black glass eyes, a skip-stitched nose and woven cotton paws. 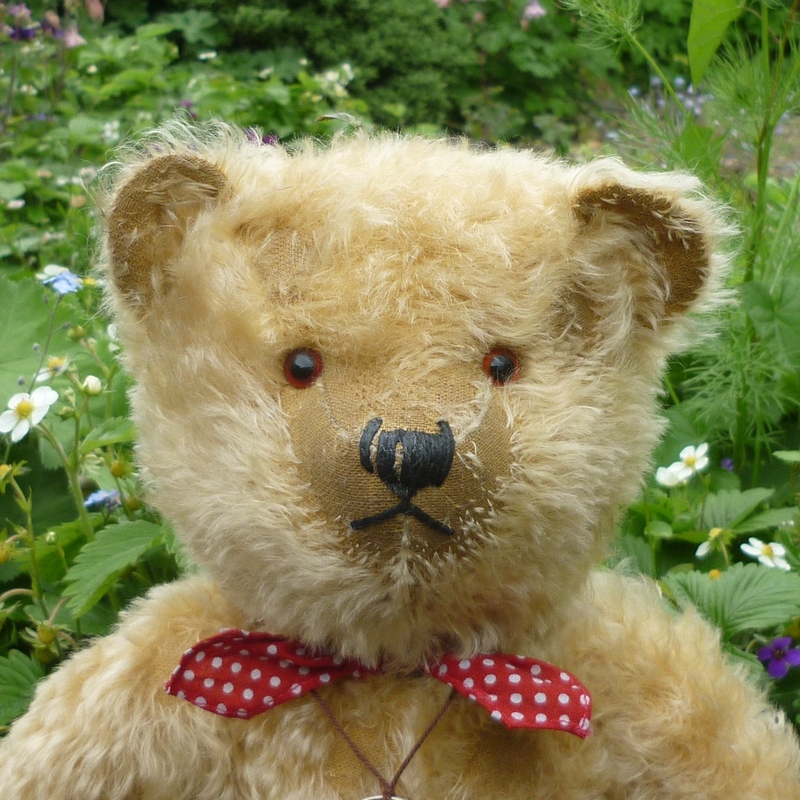 Softly and heavily filled with a mixture of wood shavings and polyfibre, he, wears a red and white polka dot neckerchief.